September 11th in Theme Lists by Wordpress Jedi . 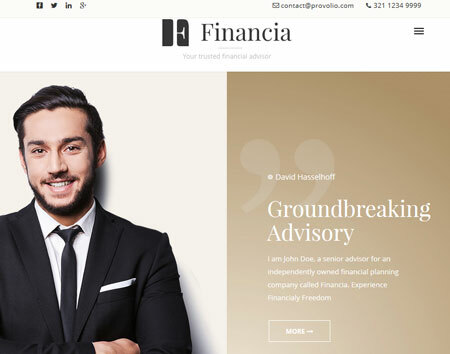 Financial Advisor: a responsive WordPress theme for financial planners and professionals. It is powered by Cherry Framework 4. 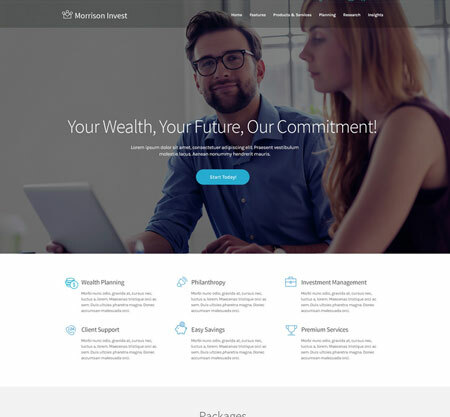 Financial Planning WP: a responsive theme coded in HTML5 and CSS3. It comes integrated with Google Maps and Google fonts. 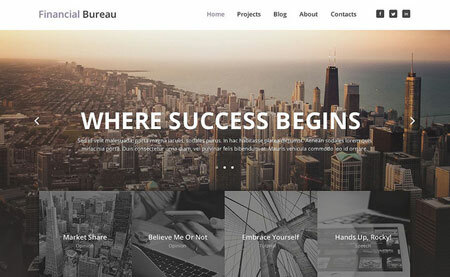 Financial Bureau: a responsive theme for financial planning companies built on Bootstrap. It offers automatic updates. The theme is ready to be translated. 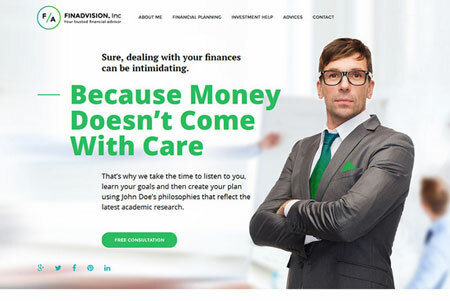 Advisor: another WordPress theme for financial advisors. It is responsive and ready for Retina displays. It comes with a drag & drop editor. This theme is powered by Cherry Framework 4. 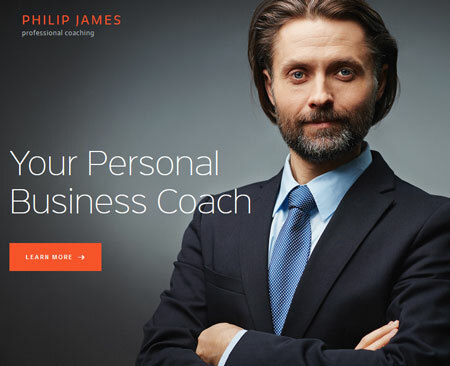 PJ: a WordPress theme for life, business coaching, and other professionals in similar fields. It has boxed and wide page layouts. 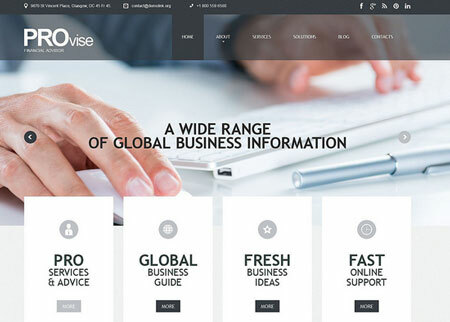 The theme is coded in HTML5 and CSS3. 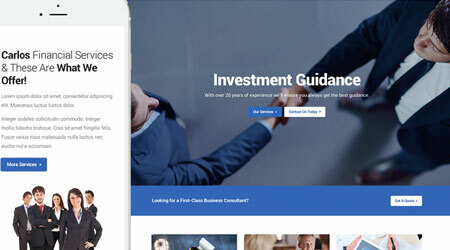 Morrison Invest: designed for investment businesses. 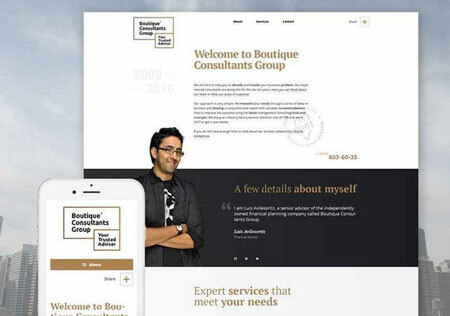 It features a fully responsive design and Visual Composer, Slider Revolution, and Essential Grid compatibility. 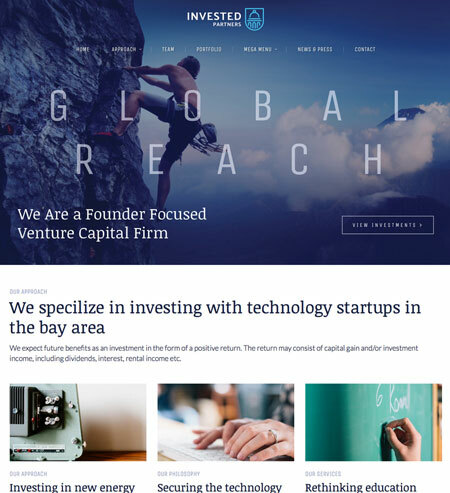 Invested: a venture capital and investment theme with Visual Composer integration. It has mega menus and translation support. You can adjust its colors and other settings easily. 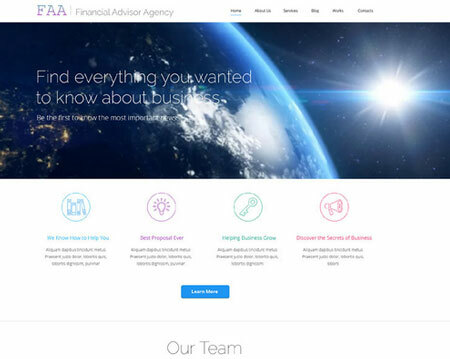 Financia: this theme works for wealth advisors and investment companies. It is WooCommerce compatible and ready to be translated. It comes bundled with Visual Composer, Slider Revolution, and Essential Grid. 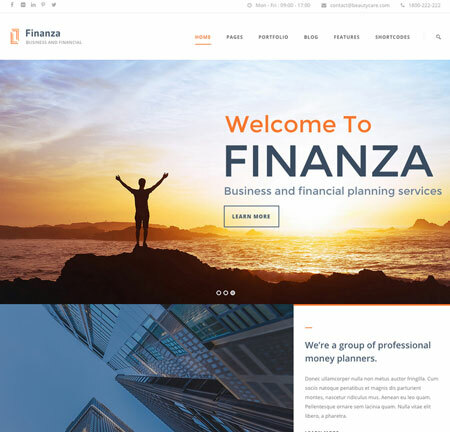 Finanza: another theme for accountants, wealth advisors, and investment ventures. It comes with a drag & drop slider, responsive design, and mega menu system. It is ready for WooCommerce. 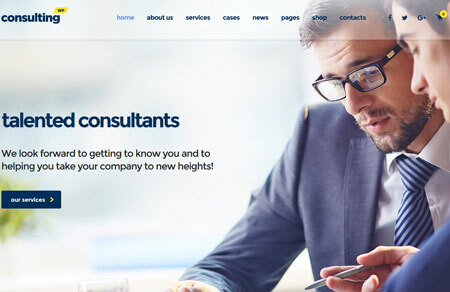 Consulting: a modern theme with 4 skins, 4 header layouts, and 3 listing templates. It is responsive and Retina ready. Comes integrated with Google fonts. 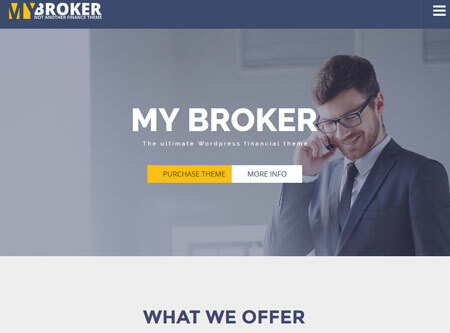 My Broker: a responsive financial theme with Visual Composer, WooCommerce, and Slider Revolution integration. It offers multiple sidebar layouts, page title styles, footer layouts. It has a mega menu system. 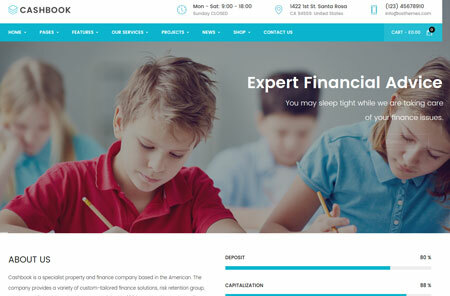 FinancePlus: a finance theme with multiple page colors, homepage styles, and header options. It is responsive and retina ready. The theme comes bundled with Visual Composer, Slider Revolution, Essential Grid, and Templatera. 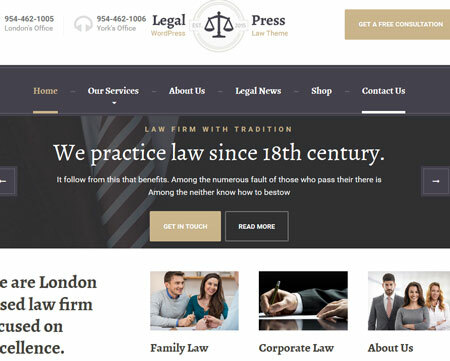 LegalPress: a commercial theme for insurance companies, consultants, financial firms, and other similar ventures. It has a drag & drop page builder and WooCommerce support. 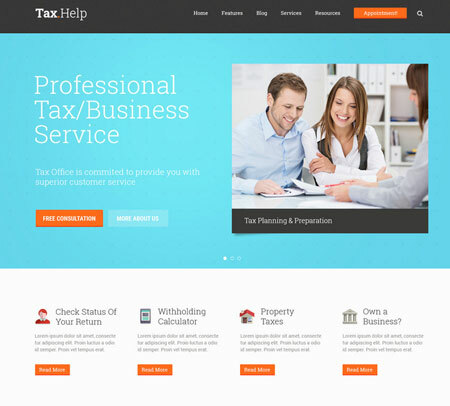 Tax Help: a modern theme for finance and accounting businesses. It is optimized for mobile devices. This template comes bundled with Visual Composer and Revolution/Swiper sliders. It is ready to be translated. Cashbook: this theme comes with a drag & drop page builder (Visual Composer) and an advanced theme options panel. It has multiple header and footer styles. You also get a mega menu system. 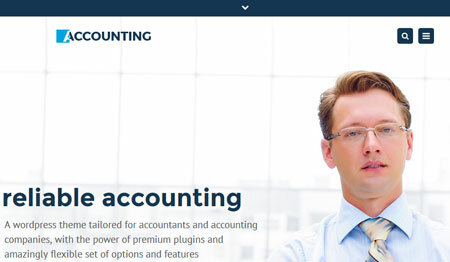 Accounting: another WooCommerce ready theme for accounting and investment businesses. It has 5+ header types, font icons, Google Maps, and 88 shortcodes. Have you found better themes for financial advisors and investment companies? Please share them here.